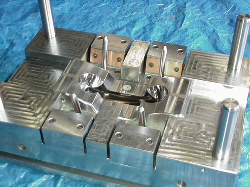 General Tool provides superior design and production of your molds ON-SITE by utilizing high tech engineering and manufacturing process with superior quality materials. With 32 years of mold making experience, General Tool meets today's high performance requirements for the plastic molding industry of the future! 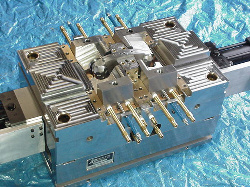 General Tool provides a fully integrated approach to mold manufacturing. From initial concept and/or sketches we can engineer the product, provide 3-D wire frame, surface design and computerized solid models. We can then translate product designs into .STL formats for rapid prototyping which allows you to see and feel your product prior to actual tooling production. Our technology base is constantly changing along with the industries we serve. This allow General Tool to provide you with the best quality product possible, while minimizing costs and maximizing product aesthetics. The better the mold, the better the product! Copyright © General Tool Specialties, Inc. All Rights Reserved.